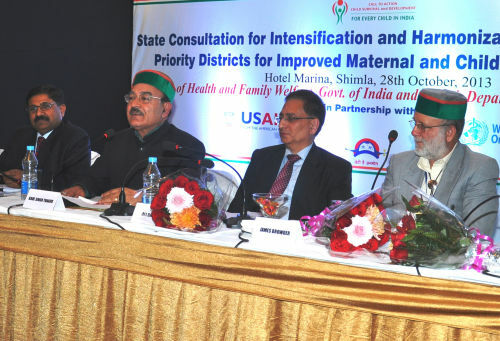 Himachal Pradesh Government has reconstituted the State Health Mission for monitoring the implementation of the progress under National Rural Health Mission in the State of Himachal Pradesh. 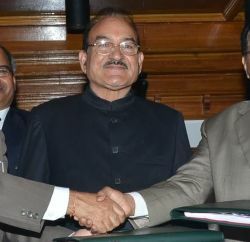 Chief Minister will be its Chairman and Health and Family Welfare Minister will be Co-Chairman. Social Justice and Empowerment Minister, Irrigation and Public Health Minister, Urban Development Minister, Rural Developmental and Panchayati Raj Minister will be its Members. Chief Secretary, Principal Secretary (Social Justice and Empowerment), Principal Secretary (IPH), Principal Secretary (Tribal Development), Principal Secretary (Urban Development), Principal Secretary (Finance and Planning), Secretary Rural Development and Panchayati Raj, Representative, Ministry of Health & Family Welfare, GOI, Director of Health Services, Director Ayurveda and Mission Director (NRHM) will also be the member of the Committee whereas Principal Secretary (Health) will be its convener. Nominated Public Representatives in the Mission are Anurag Singh Thakur, MP Lok Sabha, Randhir Sharma, MLA, B.K.Chuhan, MLA, Rakesh Pathania, MLA, Balbir Chaudhary, MLA, Baldev Saini, Chairman Zila Parishad Mandi, Malka Devi, Chairperson Zila Parishad Hamirpur, Deepak Sharma, Deepak Bhojanayalaya, Middle Bazar Shimla and Kripal Parmar, Ex-MP. Nominated Non Official Member of the Mission will be Kanwar Hari Singh Bag Mata Mohalla Una, Dr. Mohinder Sharma Senior Medical Officer Civil Hospital Nahan, District Sirmour, Nardev Badola, Badola Niwas, Near Thodo Ground, Solan. The State Health Mission shall meet at least once in every six months. 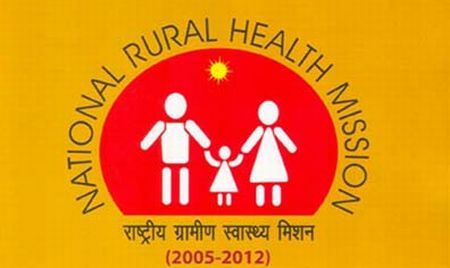 The function of State Health Mission will be the periodic review of progress in the implementation of National Rural Health Mission inter-sectoral co-ordination, advocacy measures required to promote National Rural Health Mission activities, providing health system oversight and consideration of policy matters related with health sector.